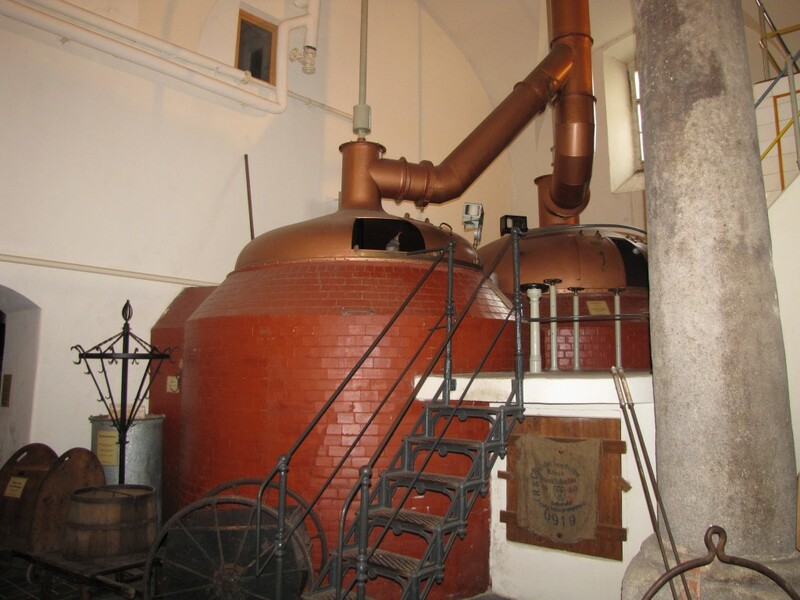 Knowing about the brewery of a beer, for almost all of us, can influence and change the experience. Michael Jackson confessed to being unable to identify beers he knew well when he was doing blind tasting, and we’re certainly not in his league. 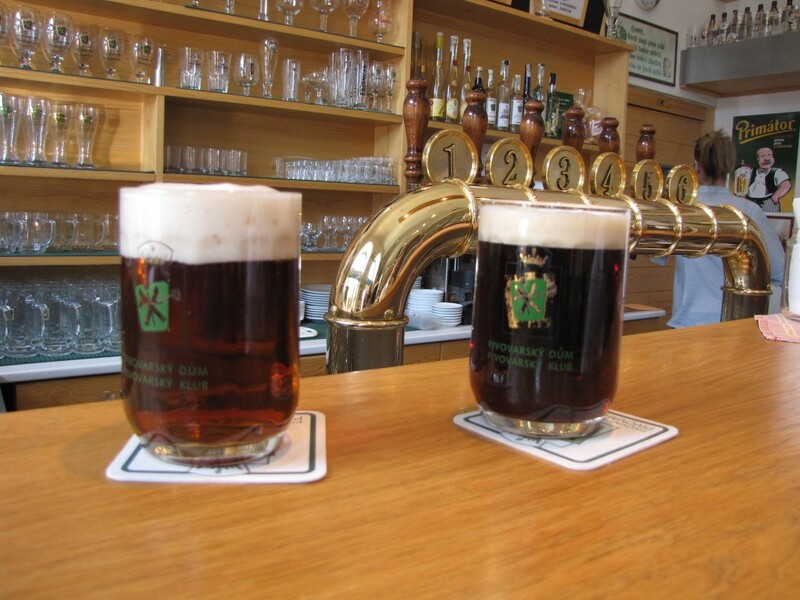 On the other hand, in craft beer, knowing something about the beer usually enhances the experience. Label used for educational purposes. 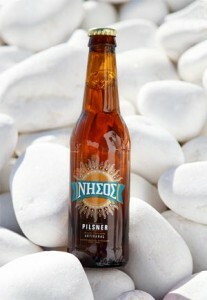 We don’t know a great deal about Chios other than it’s a valued local attraction and they brew very good beer. 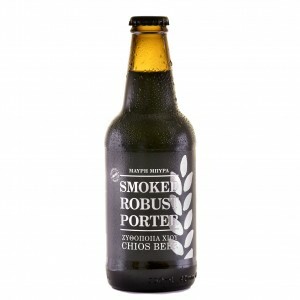 There seems something about the sea to this yummy smoked porter, though. 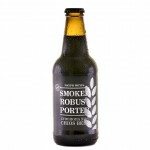 Maybe there’s some salt or maybe it’s just suggestion, but it seems to us this could almost pass as an oyster stout. 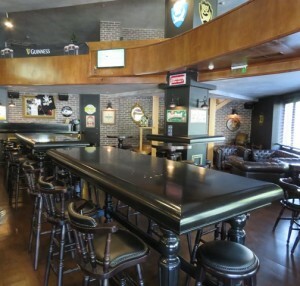 We tasted it at Barley Cargo, one of Athens’s best beer bars. A short stroll from the main Parliament square, it’s also one of the city’s most accessible. If you can’t find good food nearby, you just aren’t trying. Food Pairings: Oysters, of course. A squid ink pasta might be over the top, or the best combination in the Aegean. 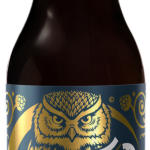 NOCTUA NIGHT VISION – AN OWL OF A GOOD DARK BEER FROM THE ONLY MICROBREWERY IN ATHENS. Athene noctua is the “little owl” of Greek mythology that accompanies Athena, the goddess of wisdom. Owls appeared on early Greek coins and “Bringing owls to Athens” had the same meaning of coals to Newcastle. The creators of Athens’s first, and right now only, craft brewery wanted to establish a strong identity with the city. They’ve also enjoyed capitalizing on the features of the owl with their two brand names, “Head Twister,” and “Night Vision”. 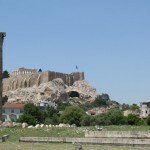 > Although the brewery is in some ways specifically Athenian, the four friends who founded it were inspired by their travels elsewhere and they’re clearly a part of the Western world’s brewing revolution and a fairly typical example of the sort of small breweries it’s producing all over Europe and the Americas. > It’s located in a former canning factory and although a tasting room may be on the horizon, they’ve gotten some good distribution in beer bars throughout the city. 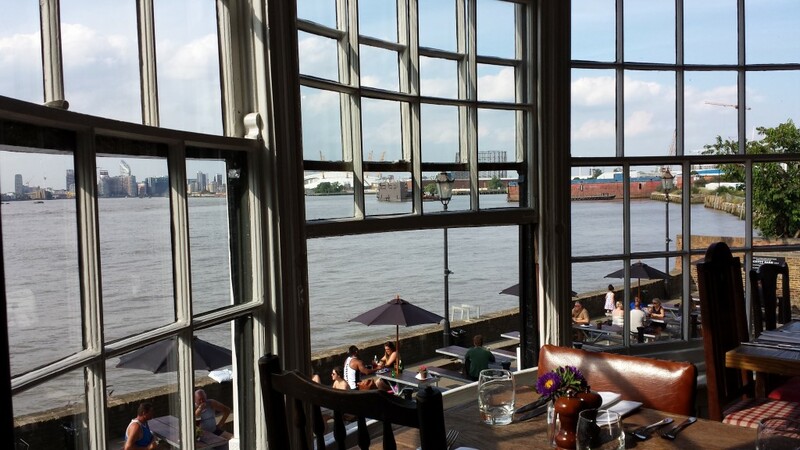 The best place to try it is at the Lazy Bulldog. About a five minute walk from the brewery, the Lazy Bulldog offers the best range of craft beers anywhere near the downtown area. 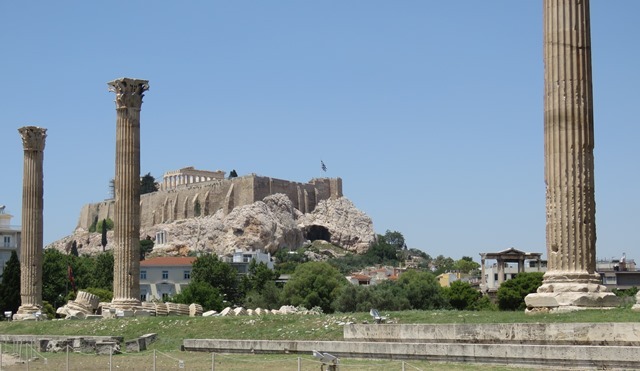 > It’s a bit outside the city center – almost across the street from Technopolis, the modern industrial museum, and an easy quick stroll from the St. Keremeikos stop on the M3. 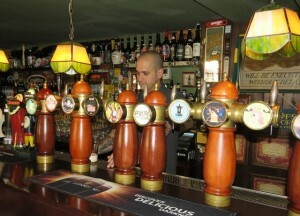 Go there in the late afternoon and there’s a good chance you’ll end up having a beer with one of the brewers. > We liked the Head Twister, but were blown away with the Night Vision. It may be hard to brew a bad dark beer, but it’s not easy to balance the range of flavors in Night Vision with the skill – and wisdom and vision—of the Noctua brewers. Tasting notes: The beer strikes an unusually good balance between very dark malt, and flavors from Chinook, Citra and Columbus American hops. Hops run grassy, piney, and fruity hops while a creamy fullness holds the whole chorus of flavors in harmony. Our friend knows Greece inside and out. She’s led trips there, she teaches ancient history, there’s really very little in this vast subject she doesn’t know. 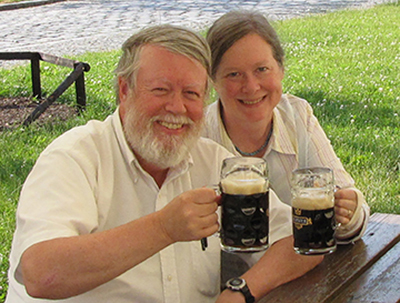 So it was a delight to surprise her by saying that some very good beer is now brewed in Sparta. Granted, she has an Athens bias, rooted in the ancient world, that I think makes her see Sparta as the West Virginia of the Peloponnese. [really important non sequitur here: I am from West Virginia]. Voria Session Ale from Sparta is one of many stereotype busters pouring from one of Greece’s best breweries. in the outlying area of Chalandri. It’s a haul by Metro, then a pretty long walk into town, but absolutely worth the hour or so effort to get there. 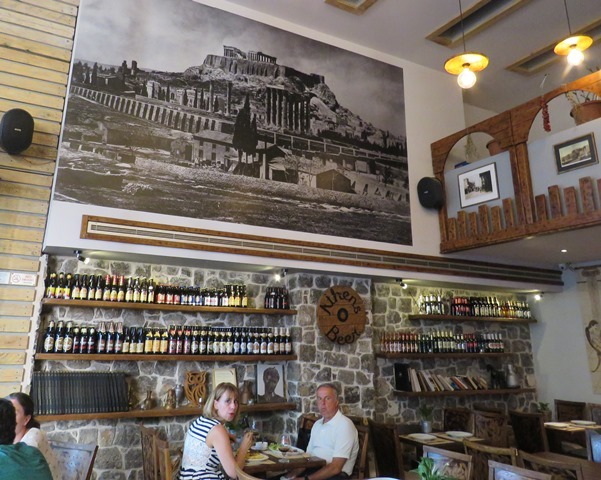 This pub will be a footnote in our “Beer near sights” book coming soon-ish, but if you’re in Athens for more than a day or two, the pilgrimage is almost a requirement. The brewery calls this Flaros an American Pale Ale, but the pump clip just says “Session Ale,” for which at 4.7% abv it qualifies– these days anyway. It’s worth remembering that this “session” is only a small fraction of a percent less than the standard alcoholic strength around the world, Greece included. Tasting notes: It’s quite full bodied for a session ale, understandably since it’s almost not a session ale. Lots of hops finish with pine and a very ripe stone fruit. Late bitter hops. Slightly sticky as it drinks. You wouldn’t blink if you were served this in either Portland. 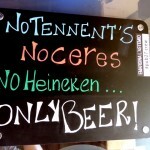 NEXT (SEPT 26) WE’LL FEATURE Noctua Night Vision- probably the best beer brewed within the city limits of Athens. 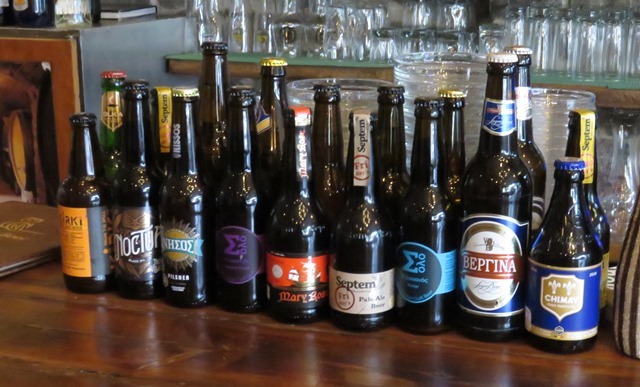 Like the early days in Belgium, if you want to experience the full range of local beers be prepared to sample a good many of them from the bottle. Athens Beer has some very nice drafts, but if you’re returning for a second night you’ll be running through their bottle list to find new discoveries. Fortunately, the bottle list can keep you busy through the second night and beyond if you choose to confine yourself to the Plaka area. This pilsner won the silver medal in the Bohemian-style Pilsner category at European Beer Star, which isn’t the World Cup or the GABF, but does receive over 1600 beers from 42 countries to judge. We had just landed from Germany and our standards were pretty high and this one got our attention. Tasting notes: Clean malt with herbal spicy and metallic hops. A bit of creaminess at the end. 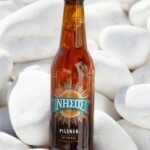 Easy to drink — a nicely echt pilsner beer that would not be out of place in Germany. Food Pairings: The brewery recommends chicken, grilled meats, fish and green salads. They’ve pretty much got it, though there might just be enough crisp hop bitter to hold its own with Chinese dishes.